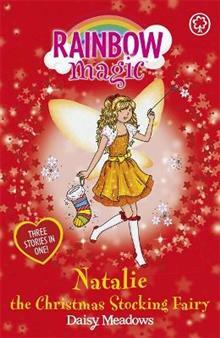 Join Kirsty and Rachel as they help their newest fairy friend to save Christmas! Nasty Jack Frost never gets anything in his Christmas stocking, so this year he's decided nobody else will either! He's stolen the three magical objects that Natalie the Christmas Stocking Fairy needs to make sure children all over the world get their presents. Can Kirsty and Rachel find the precious items in time to keep Christmas magical?